Youth Enrichment Services (YES) is a private, nonprofit organization which provides affordable and impactful sports-based youth development and leadership programming for Boston children and teens. Founded in 1968 by Richard Williams, YES believes deeply in the transformative power of engaging youth in active outdoor activities. 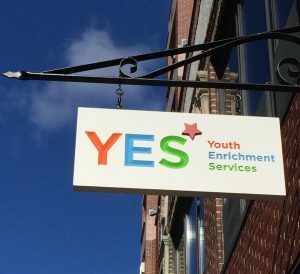 YES is dedicated to serving Boston youth with a targeted focus on reaching low-to-moderate income children and teens in Dorchester, Roxbury, and Mattapan. YES currently serves more than 1,600 children and teens annually. YES inspires and challenges youth with physical and mental activities that foster life-long respect for self, others, and the environment. YES accomplishes its mission through a three tier YES Formula for Success approach. A large number of diverse urban youth have access to an affordable and in-depth program that challenges them through outdoor sports and experiential education. They find a safe space to engage in a continuum of positive activities and quality experiences that foster character development and physical fitness. Youth build strong relationships with positive role models and take advantage of apprenticeship opportunities that build their technical and leadership skills. Youth Enrichment Services enjoys a recognizable presence in the community that attracts a large group of committed volunteers as well as community support and involvement.